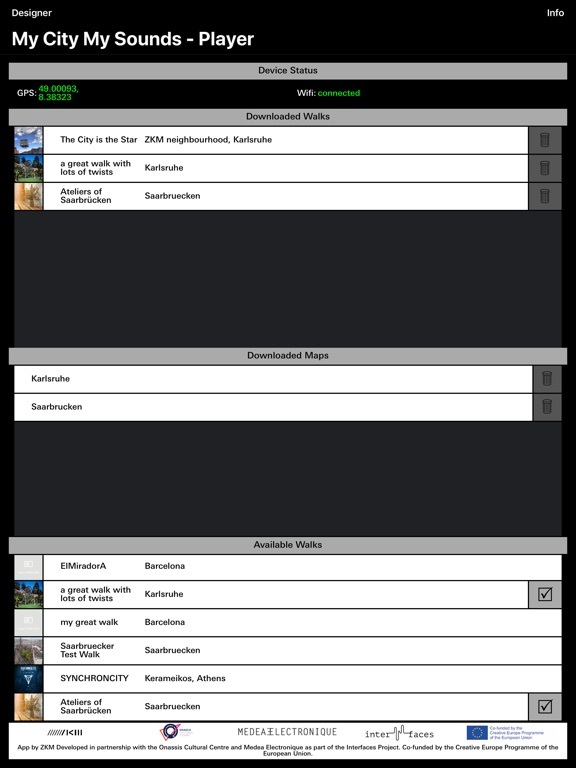 ZKM Karlsruhe released MyCity MySounds, an app that has been many years in the making! While not necessarily a music app, I think this idea of recording city soundscapes offers an interesting opportunity for sound designers. The app encourages people to record their city from all over the world. From the app, or from their website, you can listen to other people's recordings.Today's news stories have been greatly delayed by me doing exactly that. Exploring the map and listening to sounds all over the world can be a deeply fascinating time-sink! I gave it a try but there's no way to export audio from within the app and all the recordings are mono.